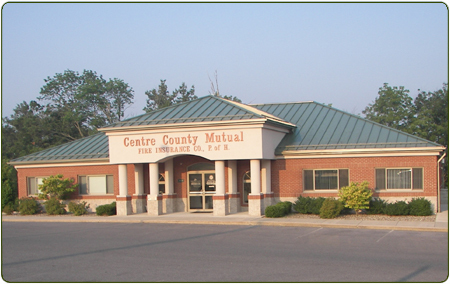 Centre County Mutual supports the small business contractor: carpenter, plumber, electrician, landscaper, and handyman enterprises. We provide liability coverage and coverage for tools and equipment. We also offer coverage for those buildings owned by the contractor and used in his/her business. We are experienced in offering packaged insurance for small commercial operations such as apartments, offices, retail stores, warehouses, barber and beauty shops and crafters. We consider start-up businesses depending on products sold and coverage needed, among other things. Ask us about special events coverage and short term festivals participation insurance . Our coverage is designed to provide basic building and contents coverage for parishioners. Our focus is small, rural churches and meeting halls. In addition to covering the building and liability, we also offer contents or personal business property coverage. Whether it is a small, 10 acre vegetable farm, a start up operation, a hobby farm or a major crop or dairy operation, we can protect it. Your family home, buildings that house the workers, barns, storage buildings, farm business and personal property, cattle, and farm equipment can all be covered under our policies. Large, high valued equipment can be specifically covered. We also offer personal and farm liability to protect you and your family. Partnerships and incorporated camps with multiple owners or stockholders can be insured under our commercial program. We also offer coverage for camps located on leased Pennsylvania State Land. Building coverage and limited camp contents coverage is available. We have business property liability available if needed. Things such as; security, periods of occupancy, construction type, number of members and size of the property are taken into consideration when we write hunting camps.